President Umaru Yar'Adua on yesterday said that the greatest legacy of the first civilian governor of old Rivers State, Chief Melford Obene Okilo, was his vision for his people and Nigeria at large. Yar'Adua said this at a ceremony organised in honour of the late Okilo at the Banquet Hall of Bayelsa's Government House in Yenagoa. governor of old Rivers State, created lands where they were hitherto non-existent and opened up inaccessible areas for development. 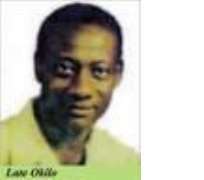 He described Okilo as a "country-man, farmer, fisherman, a modest and astute politician who never believed in the glamour and affluence displayed by his colleagues. political scores throughout his lifetime," Yar'Adua said. In his tribute, Gov. Timipre Sylva of Bayelsa said that Okilo was a philosopher who gave the name Bayelsa to the state. Sylva said that the late Okilo was the greatest personality from Bayelsa, stressing that the late statesman believed that "the spirit of a man can never die". yesterday in Emakalakala, Ogbia Local Government Area of Bayelsa. Reports that the casket bearing the remains of the elder statesman, which was earlier received by the Bayelsa's Council of Chiefs, arrived at St. Bartholomew's Anglican Church, Emakalakala, at about 11.45 a.m.
wisdom and a man who loved his country. in your life -- that was Okilo for you,'' Oruwari said. selfless leader, saying that the biography of the late statesman exposed his astute qualities. "He was the first person to set up an Independent Power Plant (IPP), the Imiringi Gas Turbine, as a governor. Okilo also set up the first state-owned University of Science and Technology in the country. built a house for him recently. His remains was laid to rest at about 2 p.m. amid rainfall.